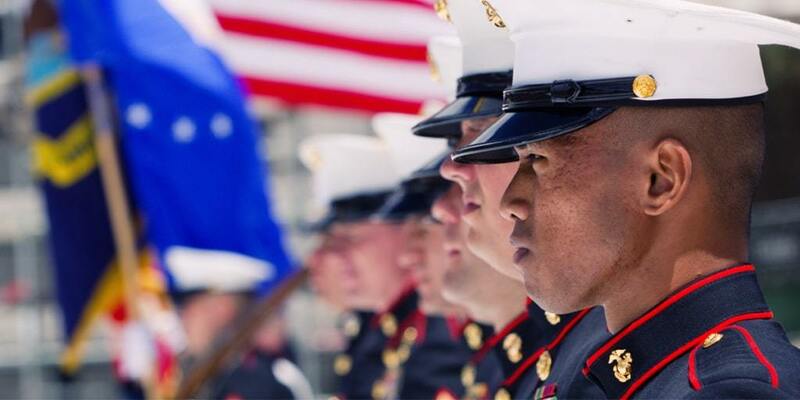 NC4ME is on a mission to make North Carolina the #1 state for military employment! North Carolina for Military Employment (NC4ME) is an element of the North Carolina Veterans Foundation, a 501(c)(3) nonprofit organization. Contributions are tax deductible to the extent provided by law. Our unrivaled team of public and private sector stakeholders has come together to implement a joint strategy focused on ending misconceptions about military service, empowering employers to hire qualified military talent, and streamlining service member transitions into civilian employment. The result is a unique public-private partnership that is already finding unprecedented success. 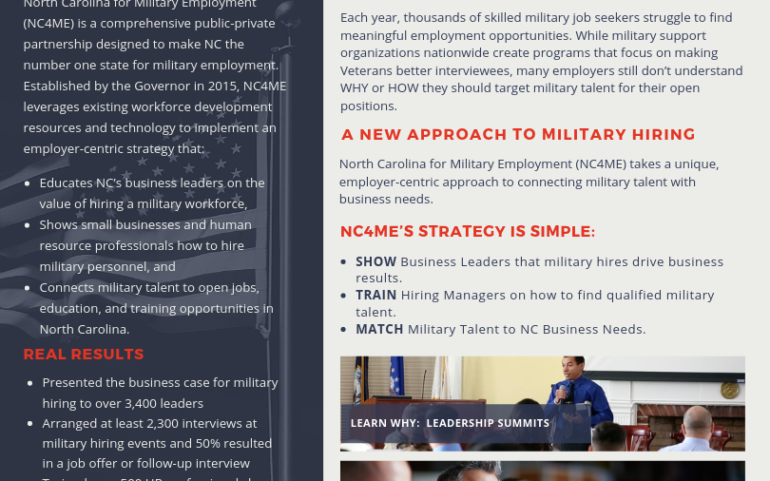 Since starting formal operations in 2015, NC4ME has shown over 800 senior leaders the business case for hiring service members, prepared hundreds of Human Resource Professionals to assess and hire military talent, and arranged over one thousand interviews between hiring managers and qualified military candidates – with over 50% of those leading to job offers or second interviews requests. Your contribution to NC4ME helps to ensure that the estimated 78,000 service members transitioning out of the military via NC’s bases between 2015 and 2018 find meaningful civilian careers. Join us in supporting those that defend our nation and in working to make North Carolina the #1 state for military employment! For more information about supporting NC4ME, please contact Stuart Ruffin at sruffin@nc4me.org.